Find a parking space and make your way to our sign to take a selfie! 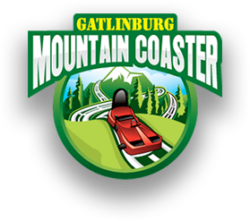 Tag us @gburgmtncoaster and use #GatlinburgCoaster for a chance to be featured on Instagram! 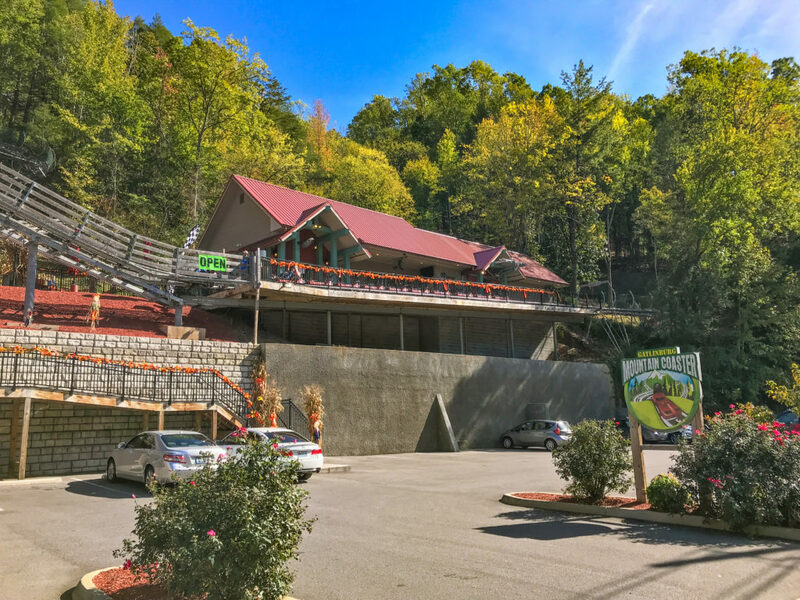 Then make your way up the wooden stairs and ramp to get your tickets. 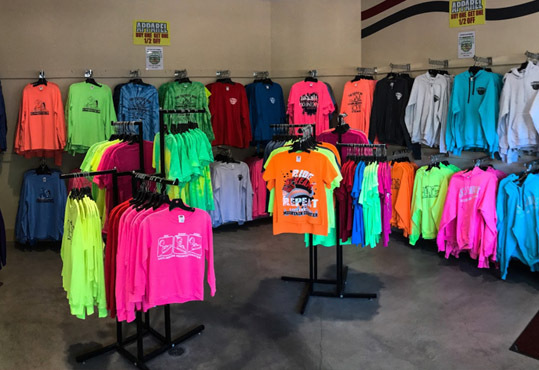 Purchase Tickets Online or In-store. 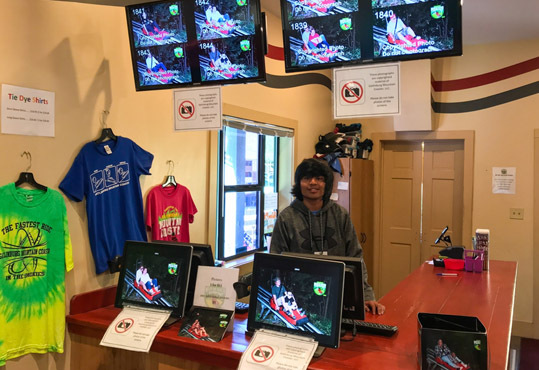 We look forward to greeting you and introducing you to the coaster! Please feel free to ask any questions that you may have about the ride — we’d love to help. 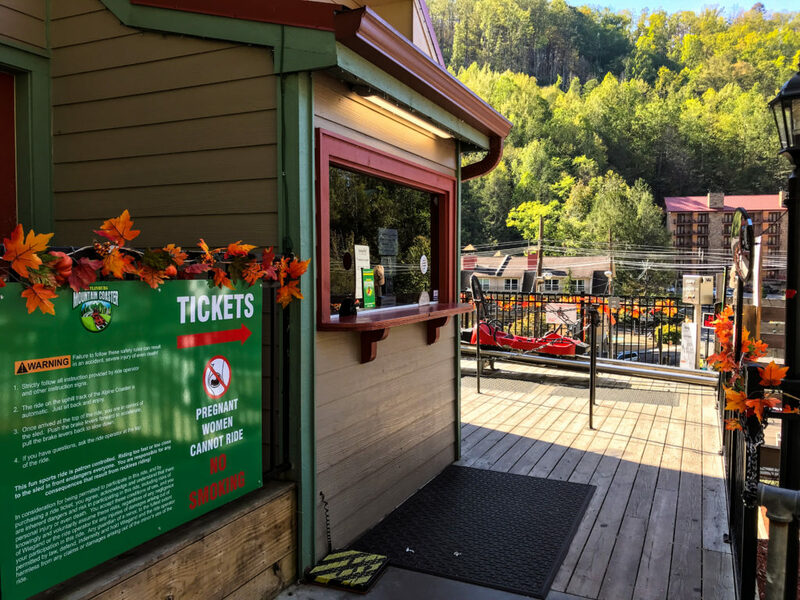 After you get your tickets, swing around the corner and get excited because you’re about to be on the fastest ride in the Smoky Mountains! Be Safe and Get Amped Up! Your attendant is going to walk you through the safety procedures. Once he’s finished, he will ask you for a thumbs up to make sure everyone understands the rules. If you don’t or have an additional question, please ask and he or she will be more than happy to answer for you. Guess what? 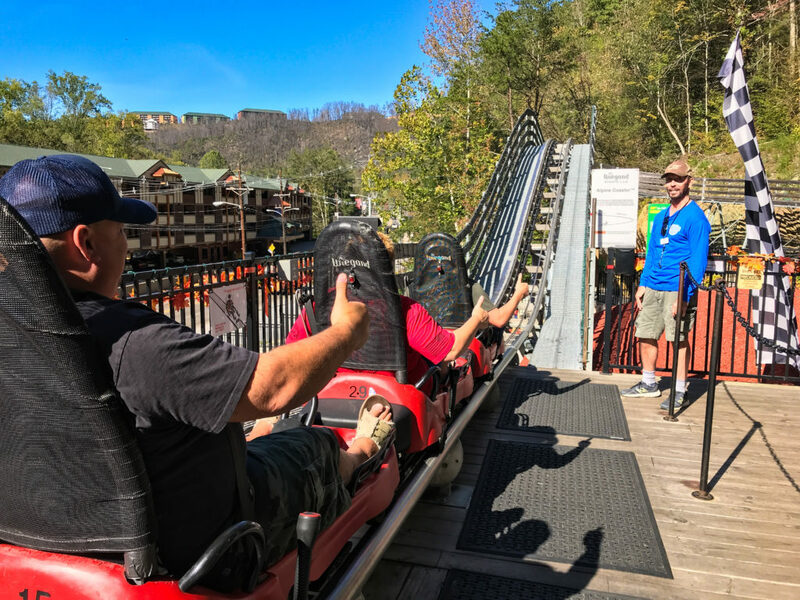 You’re all thumbs up and about to experience speeds of 30+ mph! 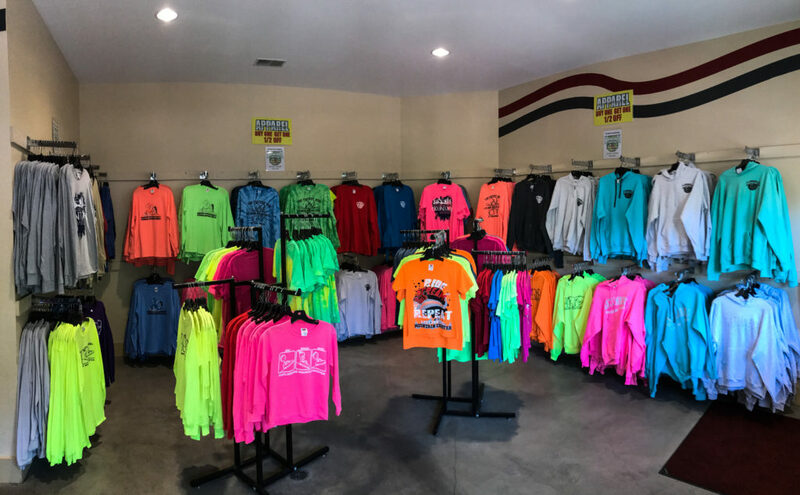 You just experienced the fastest mountain coaster in Tennessee, and it’s time to flaunt it by grabbing your exclusive Gatlinburg Mountain Coaster merch inside the store. Wear it proud, y’all! You Don’t Want To Forget Your Experience, Do You? 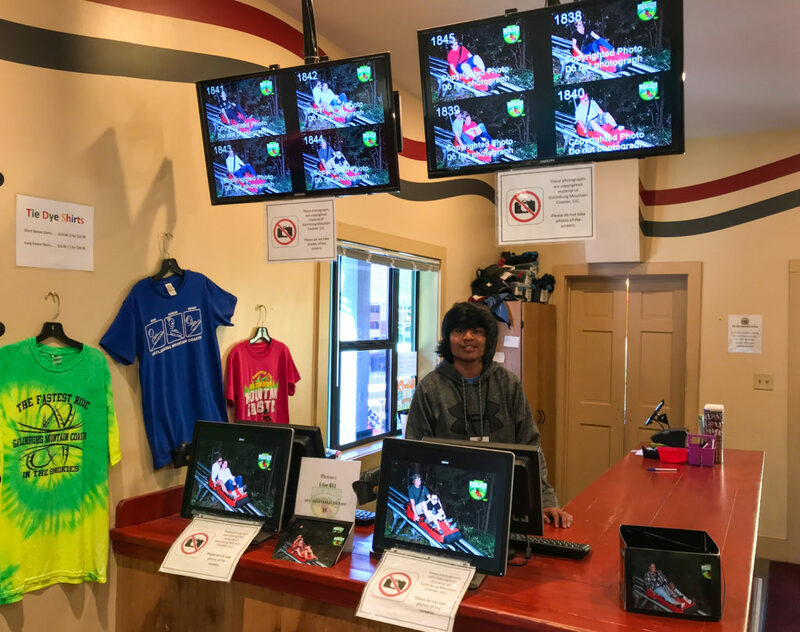 After you’ve picked up your coaster merch, visit the smiling face behind the photo desk to view your professional photo taken while coming down the mountain. You can purchase a photo for $11. In addition, it’s only $8 for any extra photos your party may want! Hey! 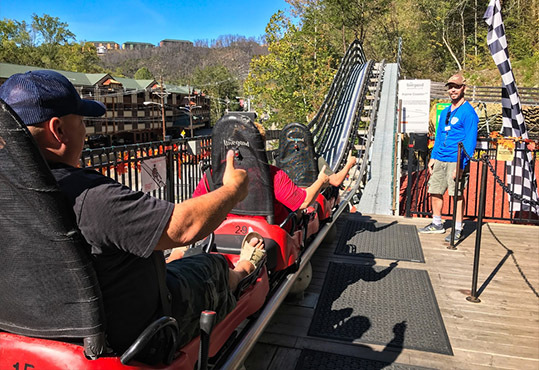 You can ride it again for only $8 per person!